Pictured L to R: Taylor Marino, E.I., Victoria Malley, Patrick Stiegman, E.I., and Andrew Woodroof, P.E. 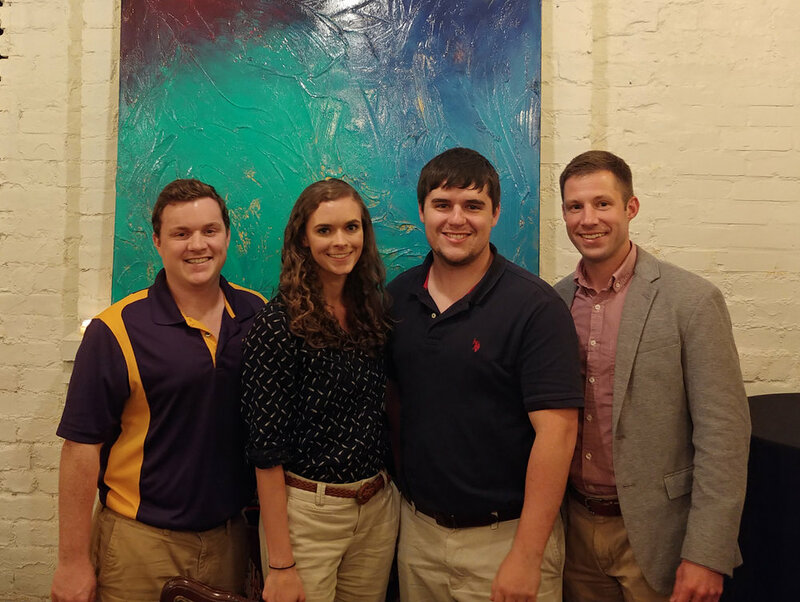 Last Thursday evening, several of DE's Engineer Interns attended the third annual ASCE Younger Members Panel and Networking Social at CellarDoor. The panel this year featured local industry leaders with experience in construction management and the overall discussion focused on engineers' role in construction. Panelists included Melissa Gibbs (Gibbs Construction), Brian Freilich, P.E. (Hayward Bakers, Inc.), Travis Richards, P.E. (Eustis Engineering), and Steve Greaber, P.E. (Terracon). DE's Taylor Marino, E.I., Victoria Malley, and Patrick Stiegman, E.I. attended the event and learned about challenges they can expect to encounter during construction, conflict resolution, and how to work with contractors to deliver the best project possible to clients and owners.